Mentoring takes place in safe and open yet quiet spaces kindly provided by our partners. We provide scholarships to high school students from disadvantaged backgrounds with a keen desire to learn. 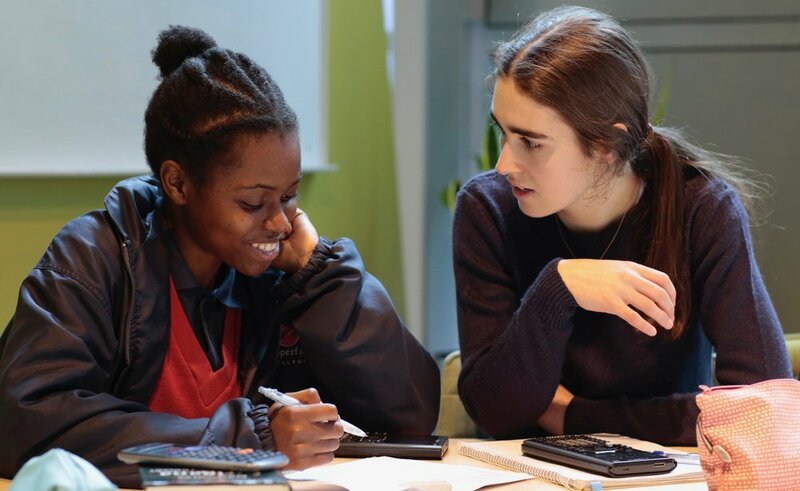 Our scholars are granted free one-on-one mathematical mentoring for a minimum of a term’s worth of two hours per week, face-to-face with one of our generous mentors. Our volunteer mentors range from university students to industry representatives and retirees, and share a common passion and enthusiasm about maths. Click here to learn more, or get involved as a prospective mentor or aspiring scholar. Industry Mentoring Programs enable industry professionals to inspire younger generations from disadvantaged backgrounds to succeed. We work with organisations in various industries and their mathematically-trained employees to run mentoring programs for our scholars out of the host firm’s offices. Being mentored by industry professionals, scholars gain unique insight into the importance of mathematics in the host firm’s operations. Wherever possible, we collaborate with host firms to incorporate fun maths-related activities relevant to the firm’s area of expertise. Click here to find out more about how these programs work. If your company would like to host an Industry Mentoring Program, please contact us to find out more. Our last event “Maybe I could be a Mathematician”, presented by University of Melbourne Professor Arun Ram. Our activities aren’t limited to mentoring! We run maths-related events for everyone in the public to enjoy. We also hold friendly gatherings for our mentors and scholars from time to time. As part of our love to communicate maths and about maths, we have multiple side projects including a blog, a resource hub for mentors and students, and a library of notes for university-level mathematics.